Image Source: “Google Demands Retrial Copyright Case” by TheNewsTribe.com, May 9, 2015. No author name provided. “Web trolls” are groups that go into business precisely to sue other companies and groups by trolling content and software, usually offered for free or fairly used and even expressly attributed. Web trolls write and register patents specifically to prey after well-healed interests, often on obscure legal grounds and even on grounds of clear fair use of content and software. All their money is usually settled between the accused and the accusers, most often when the accused has decent resources – simply to make the problem go away. Wonder why the trolls generally “scare and settle” with mostly rich companies? We hopefully will see. The U.S. Supreme Court on June 30, 2015, refused to hear Google’s plea to overturn a 2014 decision favoring Oracle by the Federal Circuit Court of Appeals concerning Google’s use of APIs (Application Programming Interfaces) for Android phones that might, or in many legal cases, might not, use Java. Google deserves great criticism and legal challenges over favoritism for surfacing strong search results for Google clients over smaller and likely more innovative interests, among so many other questionable actions, but the Electronic Freedom Foundation (“Bad News: Supreme Court Refuses to Review Oracle v. Google API Copyright Decision”, 77 computer science business leaders, innovators and professors, and I wonder about Oracle’s legal creativity. The courts need to up their technology knowledge even to consider cases like these, but Google will have its shot at appealing the ruling again through the District Court. Oracle argues that Java’s APIs are copyrighted, and that using them for Android app development was infringement by Google. Google argues that Java is a fair-use application, used by hundreds of millions on the web, and pilfered widely by Oracle across all platforms for free. Not now, apparently, for Android. For some reason. Wonder why? Most software and app developers might not even be aware that what they write and use surrounding Java is now more subject to lawsuits, argues Jared Newman of Fast Company in his piece, “Here’s The Scariest Thing About The Oracle-Google Software Copyright Battle”. Click Here. Maybe developers have figured they should simply march on, write the damn code, and worry about the courts later, if need be. Maybe Oracle should account for all things they consider copyright infringement so developers know. But Oracle and others keep moving the goalposts for pots of potential gold. 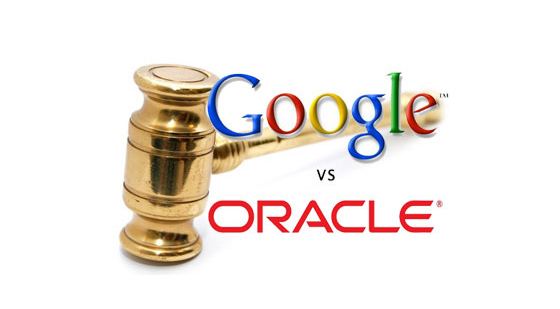 All considered, Google-Oracle is just one case among thousands that represent loopholes and lack of knowledge in American and world jurisprudence that appear increasingly inept at keeping pace with technology. That Oracle chooses — and for years, chases — Google, of all companies and interests developing “Java-involved” software, more so demonstrates the smaller giant biting the heels of the biggest giant of all, resulting in arguably less innovation due to a chilling effect on programmers. This entry was posted in Apps, Legal, Search, Trolls on July 6, 2015 by admin.